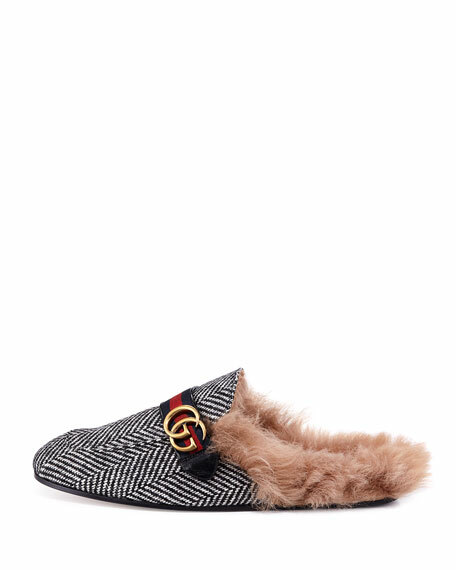 The Princetown fur-lined slipper is completed with a leather strap across the front with House Web stripe and Double G hardware. 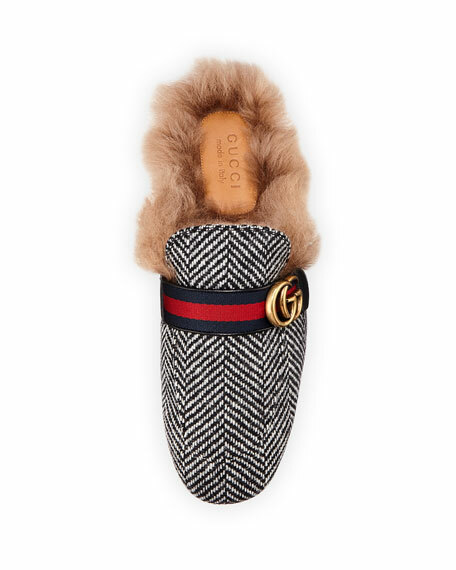 Since its debut in the Fall Winter 2015 collection, the Princetown slipper has become a mainstay of Gucci collections. Unconventional yet entirely modern, the influential accessory is a contemporary interpretation of the Horsebit loafer. 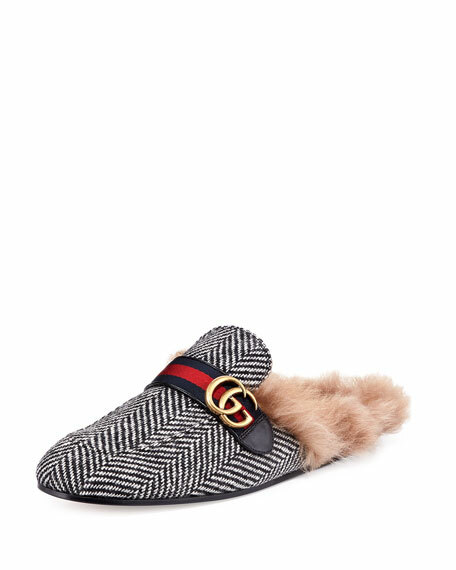 Gucci slide in herringbone tweed knit. Dyed lamb fur (Italy) lining. Green and red Web strap with Double G hardware. "New Princetown" is made in Italy. For in-store inquiries, use sku #2383101.